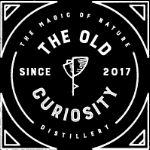 The Old Curiosity Distillery was founded in a barn full of curious things, set in the lowlands of The Secret Herb Garden, an enchanting botanical nursery just outside of Edinburgh. At the Secret Herb Garden, they grow, pick, dry, and infuse all of the herbs and botanicals used in their natural colour-changing range of gins by hand. They have an onsite cafe and shop and now offer tours of their ‘Gin Garden’.